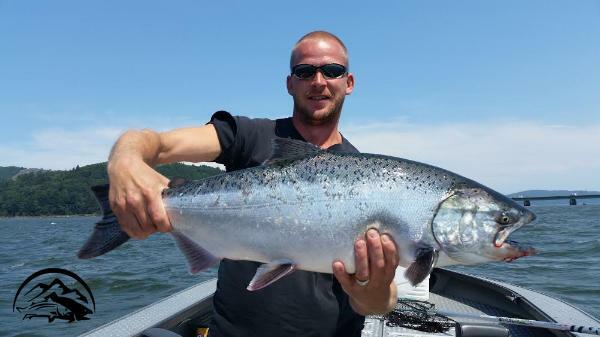 Columbia River Fishing Guides - Buoy 10 BOOK ONLINE HERE! Pacific NW and look forward to showing you a great day on the water. Prime dates for August and September fill Fast. These fisheries are unsurpassed for limits of chrome chinook, sockeye and coho salmon. with questions about the 2016 Columbia River Salmon Seasons. is a beautiful setting with the historic Astoria Megler Bridge in the background. for 2015 on our blog, Saving Fish from Drowning. on and what they're planning on having for lunch. return to the Columbia River from August through early November. Longview and the Bonneville Dam. from the western world to travel up the river.